You know when you’ve just experienced phenomenal theatre – a work that is affecting, dynamic, and brilliantly executed. When its opulence is defined by rich dialogue, exceptional staging, and characters who are brought to life by outstanding direction and talented actors. Such is the case with Playhouse on Park’s Intimate Apparel, a powerful work by the formidable Pulitzer Prize-winning playwright and screenwriter, Lynn Nottage. From opening to closing, this is a play which touches you deeply with themes that are as relevant today as they were at the time the story is told. Intimate Apparel‘s director, Dawn Loveland Navarro, calls the play “poetry” and she couldn’t be more accurate in her appraisal. 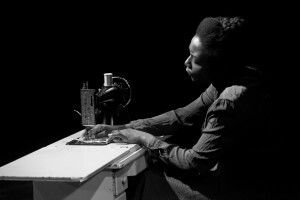 Taking place in Lower Manhattan in 1905, we’re introduced to the story’s protagonist, Esther, a spinster by those antiquated standards – a 35-year-old, single, African-American seamstress who lives something of a solitary life in a rooming house. Ironic, as she is surrounded by many other women who reside in the rooming house. Esther’s forte is to create luxurious intimate apparel for women – other women, whose lives are grander than hers, at least on the surface. Yearning for a meaningful life herself, Esther pines away for love and also carries with her the dream of a greater, more fulfilling career for which she is saving money, sewing it into an elaborate quilt. 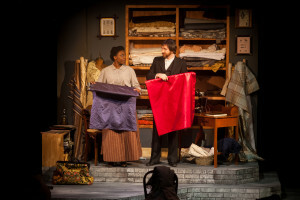 Mrs. Dickson, the African-American landlady, is her surrogate mother and staunchest supporter – and endeavors to keep Esther’s feet on the ground. Esther begins a long-distance romance with a pen-pal/suitor, a Caribbean man named George Armstrong, who is living in Panama, digging the Canal. Through him, she is finally able to envision her own future and is subsequently lifted from the grayness of her modest life in the city and into something potentially more technicolor and gratifying. As they communicate in countless letters filled with pretty words, Esther continues to move about from job to job – engaging with each of the individuals who appear to be central in her life and who in some ways represent the different islands of her character (I’m shamelessly stealing this from the charming Disney film, Inside Out). We see these islands in Playhouse on Park’s smart staging, which is set as different rooms in all four corners; these become representations of those fertile aspects of Esther’s persona. They also represent for her, psychological and emotional intimacy, which can be defined as the sense of closeness she has with others – the openness and honesty we share about our thoughts and feelings and desires. In one corner is Esther’s bedroom in the rooming house where she tirelessly sews finery for other women, while she settles for simplicity in her own life as well as in her appearance. It is here she engages with Mrs. Dickson about the complex fabric of her life. In another corner is the textile store where Esther buys her materials and regularly converses with Mr. Marks, the Orthodox Jew with whom Esther shares a mutual attraction. They are intimate in their communications but are forbidden to go any further. A third corner is the boarding house room belonging to Mayme, a pianist, prostitute, and friend for whom Esther sews. Mayme is a free-spirit, so unlike Esther save the color of their skin. Esther and she also share intimate details of their respective lives. And finally, the bedroom belonging to Mrs. Van Buren, a wealthy white woman from Fifth Avenue, for whom Esther also sews. Mrs. Van Buren is surrounded by beauty but filled with emptiness. While the two very different women are clearly separated by race and social class, Mrs. Van Buren and Esther are close, sharing some degree of psychological intimacy as well. George Armstrong and Esther’s romance eventually culminates when George comes to New York to seize the American Dream; but everything is not as it seems and ultimately there are surprising reveals when each of their secrets are exposed. Both George and Esther had represented themselves quite differently through their letters, though neither may have intended that to be so. 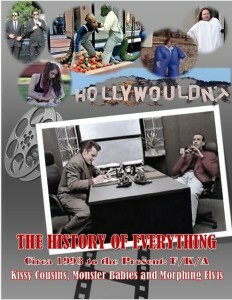 The lives of each of Nottage’s multihued characters are rife with obstacles and limitations – Esther and George, along with Mrs. Dickson and Mayme face social inequities due to the color of their skin; Esther, Mrs. Dickson, Mayme, and Mrs. Van Buren all are females in a historical era when many opportunities were still restricted for women. George and Mr. Marks, despite being male, face issues related to class as well as race and religion, respectively. 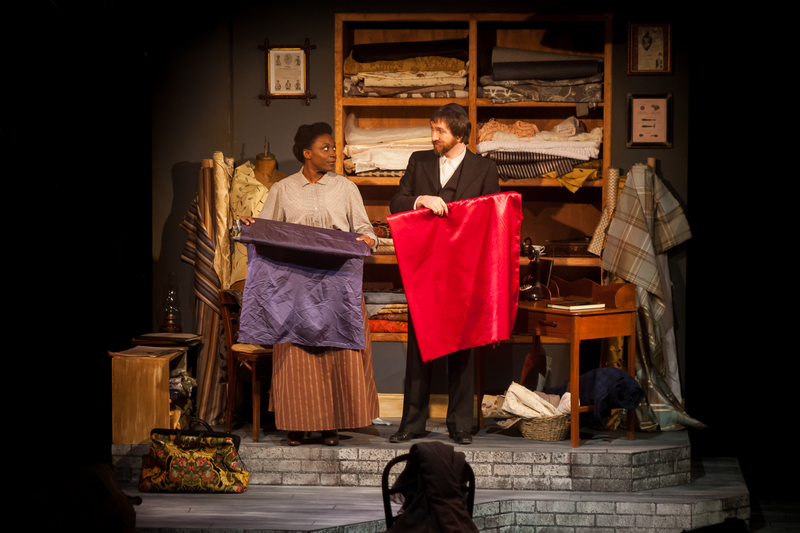 Everyone in Intimate Apparel has dreams, each of them is vulnerable, and all of the characters work in some way to overcome their limitations, but none may yield ultimate success. And just as in the intimate apparel Esther creates, there are secrets and under layers each of them attempts to keep hidden. What is maybe most beautiful about Nottage’s work is that the women in Intimate Apparel bond in ways only women often may. They lay out their fears, allow themselves to be open and exposed to one another, express their emotions and dreams, and together find strength in doing so. The men, on the other hand, often remain silent, instead stuffing down their feelings and desires in an effort to deny their existence. In the end, who among them will find their life’s journey successful? Will any? This dynamic troupe worked together like a well-oiled machine. Darlene Hope as Esther is equal parts strength and vulnerability. She delivers Nottage’s poetry as it clearly was intended. Xenia Gray as Mrs. Dickson is delightful as the sometimes meddling, and always compassionate landlady. Beethovan Oden as George is the one you’ll root for and jeer at, alternatingly, throughout the production. Represented as a man who has been beaten down in his life, one might hope he’d elect not to repeat the cycles or elect to treat others as he’s been treated, but he falls prey to the only existence he has known. Anna Laura Strider is pure joy to watch – her portrayal of Mrs. Van Buren is enchanting, amusing, and shattering all at the same time. Ben McLaughlin as Mr. Marks is authentic and compelling – and his chemistry with Hope’s Esther will have you wishing you could wear your heart on the outside of your body so it wouldn’t hurt so much. And finally, Zuri Eshun as Mayme – while not exactly the prostitute with the heart of gold, her wild nature ensnares you as you expect it does those characters who enter her boudoir. Kudos to all who contributed to this evocative work: to Joel Abbott, Sound Designer; to Marcus Abbott, Scenic and Lighting Designer; to Kate Bunce, Costume Designer; to Corin Killins, Stage Manager; to Pamela Lang & Eileen O’Connor, for properties & set dressing; and to Jennifer Scapetis-Tycer as Dialect Coach. Thank you Sean Harris and Darlene Zoller, Artistic Directors, and Tracy Flater, Executive Director, for bringing this incredible play to West Hartford’s Playhouse on Park. As always, intelligent, impactful and engaging stories grace your stage and we look forward to the next. In Dawn Loveland Navarro’s Director’s Notes for Intimate Apparel, a play now performing at Playhouse on Park, she writes “[i]f you are reading this director’s note hoping to get answers about this play, you are about to be disappointed…The play is poetry…The characters are complex and messy.” While the description about the play is accurate, I believe some answers about the human heart are universal and can be found interwoven and sewn into the play. As Woody Allen said, “the heart wants what the heart wants.” And the power of our emotions can and often does trump the more reasonable, rational side of us. Indeed, our lives are metaphorically like the central conceit in the play – a patchwork quilt of good and bad decisions sewn together during our lifetime, the end result representing the sum of our lives to date. 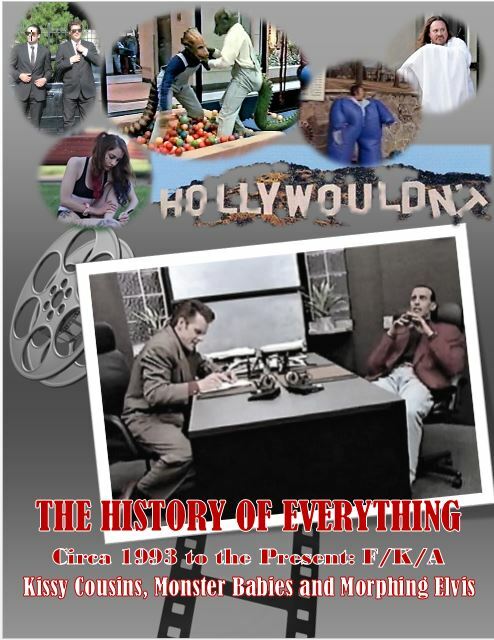 The play takes place during the turn of the century, when technological innovation and social change were on the brink of widespread acceptance. Although the Civil War ended in 1865, it’s shadow could still be felt by the early 1900s as people of color struggled to find independence in a prejudiced white world. The story centers on Esther, a hard-working, African-American, bible-toting Christian woman. 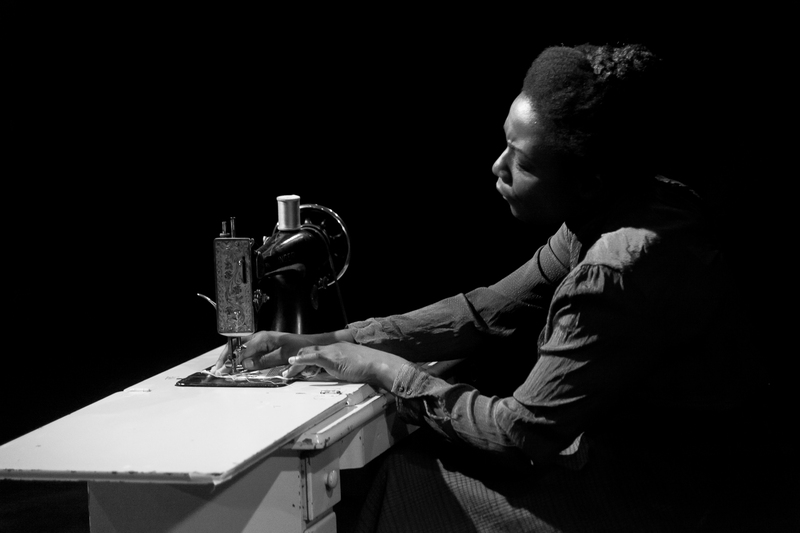 The daughter of a slave, she’s been working at the boarding house of Mrs. Dickson as a seamstress, making all types of clothing, including intimate apparel, for regular clients like Mrs. Van Buren – wealthy white women with an appreciation for Esther’s creativity and work product. Passing her 35th birthday, the cloud of spinsterhood (especially back then) loomed threatening over Esther as she saw others who were younger than her take the marital plunge. On the verge of resigning herself to a life alone, she receives a letter from a man working on the Panama Canal named George Armstrong. Mr. Armstrong was referred to her by a mutual friend. Lacking the skills to read or write, she enlists the aid of the other female characters, including a courtesan named Mayme to be her “John Alden” and correspond with Armstrong on her behalf. 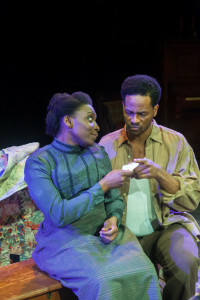 A long-distance, virtual romance develops between the unlikely duo which culminates at the end of Act One with Armstrong coming to America to marry Esther. Act Two follows like a wrecking ball with one denouement cascading after another like dominoes until the final curtain. Without giving away too many spoilers, trouble soon brews in paradise, wedded bliss turns on a dime; sometimes the only way to get to know the true character of an individual is to see them naked, stripped of the trappings and role-playing of our presumed “civilized” society. 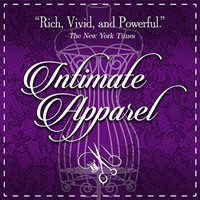 When one hears the words “intimate apparel,” the first image that may come to mind is underwear. And, indeed, that is one of the standard definitions. It also has been noted that the purpose of intimate apparel is “…to provide concealment or support for parts of it [the body].” In a sense, intimate apparel is a metaphor for the facades and lip service we use on a daily basis. The only way to really get to know someone is to strip away the intimate apparel so that one can glimpse of the true nature of what lies beneath. And so it is with the characters in the play – little by little their outer personas are stripped away leaving their naked and vulnerable “real” selves for all to see. The acting is impeccable. Darlene Hope and Beethovan Oden are simply wonderful as the star-crossed pen pals, Esther and George Armstrong. Their character arcs are as skillfully crafted as Esther’s patchwork quilt. Kudos also must go to the remainder of this talented cast: Xenia Gray (Mrs. Dickson), Anna Laura Strider (Mrs. Van Buren), Ben MacLaughlin (Mr. Marks) and last, but certainly not least, Zuri Eshun (Mayme). Dawn Loveland Navarro did an excellent job directing and bringing to light the multi-faceted thematic elements of the play. Shout-outs also must go to Marcus Abbott (Scenic Designer) and Pamela Lang (Set Design) for an elaborately detailed and realistic period set, Kate Bunce (Costume Designer), and Jennifer Scapetis-Tycer (Dialect Coach). In watching this long distance romantic letter writing campaign play out where two people rely on written descriptions of each other which may or may not be accurate, I could not help but think of the millions of “virtual” relationships and hookups that occur daily via the internet and the sometimes-disastrous results when people finally meet face-to-face and find their expectations suddenly are torn asunder. I was reminded how this point was so brilliantly captured in the 2010 documentary Catfish. I guess some things about human nature will never change despite technological innovation – or the lack thereof.